Tirana is the capital of Albania and the largest municipality in the country. 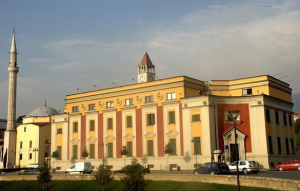 With the administrative-territorial Reform of 2014, the Municipality of Tirana has increased 25 times with an area of ​​1110.03 km 2 and a population of about 830,000 inhabitants. The leadership of Tirana, by Mayor Veliaj, was by far marked by its attention to the creation of a child-friendly city. The collaboration with the youngest members of the community in transforming Tirana towards a more livable city led to the emergence of a revitalized Tirana where green areas and playgrounds saw significant growth in the number. In addition to the 44 playgrounds, 85 kindergartens and nursery schools and 61 schools underwent a reconstruction process or were built from scratch.